This week's Top Ten Tuesday on the Broke and the Bookish is Top Ten Books You Would Want on a Deserted Island. Most of my choices are favorites that I know I'd love to read again, but I tried to make some practical choices too. 1. The Harry Potter Series (by J.K. Rowling). I realize this is probably cheating, but at least I limited it to only one cheat! I was tempted to make half the list series (Game of Thrones would have been my #2 pick, by the way, only because they're long and I'd like to know what happens next since I only watch the TV Show). 2. Extremely Loud & Incredibly Close (by Jonathan Safran Foer). Favorite. It would never get old. 3. Never Let Me Go (by Kazuo Ishiguro). Favorite. 4. Catch-22 (by Joseph Heller). Favorite, plus the long length and humor would be beneficial. 5. Gone with the Wind (by Margaret Mitchell). Favorite, plus the romance and Scarlett's courage and strength would put me in good spirits. After all, tomorrow is another day! 6. The Phantom Tollbooth (by Norton Juster). Clever and funny, always a good combo. 7. 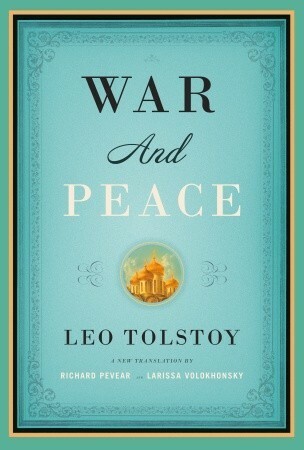 War & Peace (by Leo Tolstoy). Long and epic, it would take up a lot of time. And even on a deserted island, it would feel like a great accomplishment to finish. Plus, I'm just assuming it's good since it's such a classic. 8. The Woman in White (by Wilkie Collins). Ditto on the length and the classic status. A mystery would keep me guessing and on re-reads, improve my attention skills. 9. 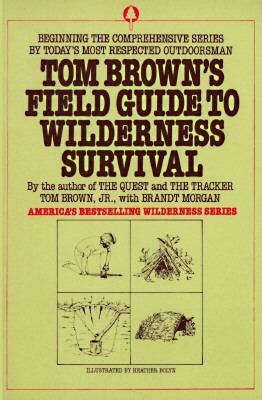 Tom Brown's Field Guide to Wilderness Survival (by Tom Brown). Gotta be practical. I have just about no survival skills, so this would really come in handy. 10. SAS Survival Handbook: How to Survive in the Wild, in any Climate, on Land or at Sea (by John "Lofty" Wiseman). And again. For all the things Tom Brown doesn't cover.